1983 was a very important year for David Bowie. This was the year that David Bowie achieved his biggest commercial success with the release of his “Let’s Dance” LP, which went platinum in both the UK and the USA. He supported that album with his Serious Moonlight Tour, which was massively successful. 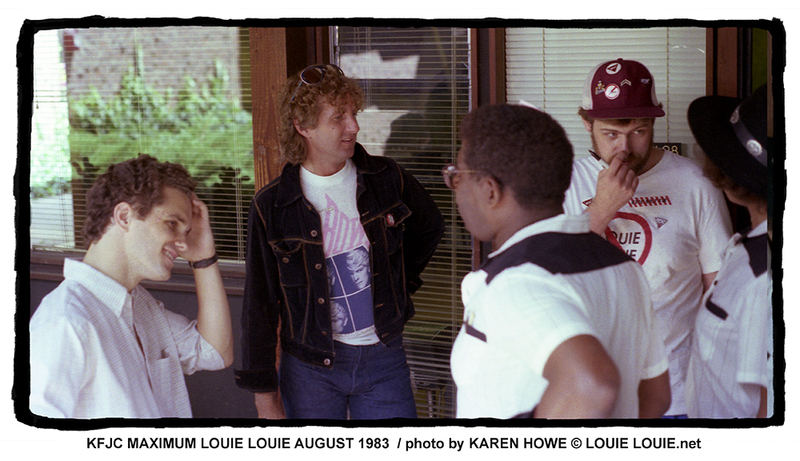 1983 was also the year that LOUIE LOUIE broke out in a very big way with the legendary KFJC marathon that received a lot of national and international attention. This was the event that dared to play every known version of the song, which lasted for 3 and half days with over 800 versions. 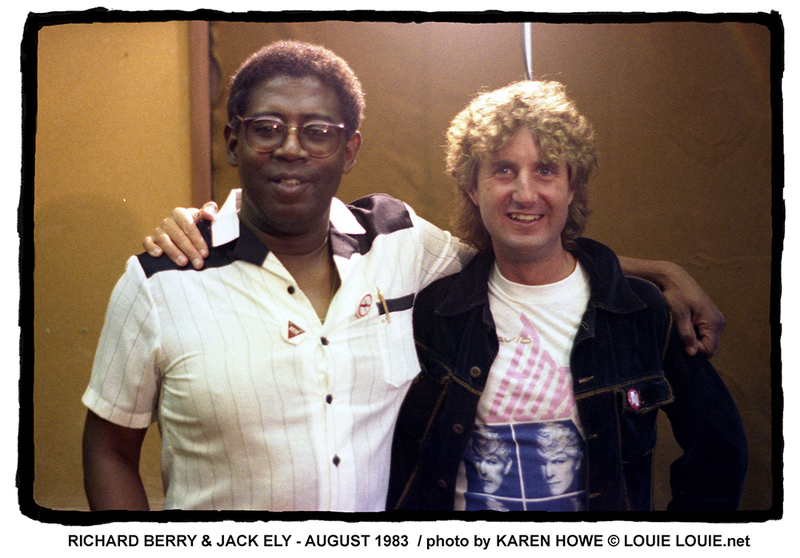 It was the event that marked the very first meeting of Richard Berry, songwriter of the song, with Jack Ely, original vocalist of the Kingsmen, who recorded the most popular version of the song. When Jack Ely showed up, flying in from Oregon to California for this event, he was wearing a David Bowie t-shirt. David Bowie’s influence was also felt in the newly released “Best of LOUIE LOUIE” album from Rhino Records, which was unveiled that very same weekend in August 1983. It was an indeed a spoof designed to capitalize on the success of David Bowie’s “Let’s Dance” hit album. “Les Dantz and his Orchestra” was actually the creation of members of Big Daddy, a satirical rock band. 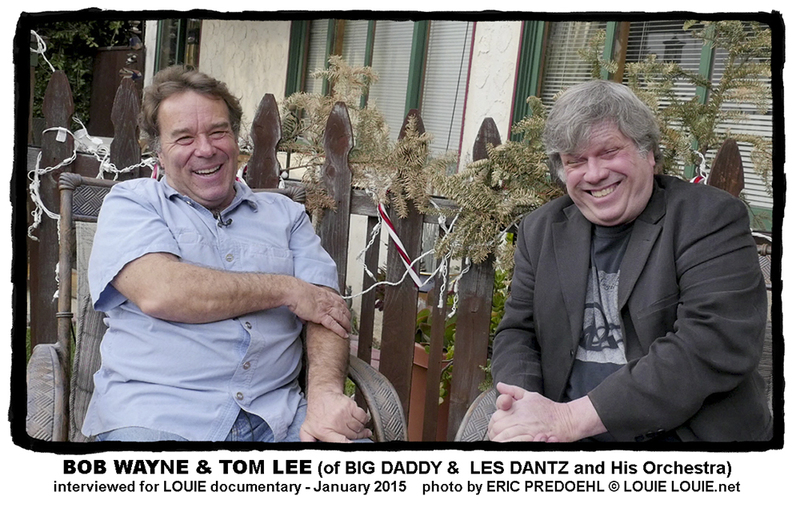 I was fortunate to get an interview last year with two of the key members of Big Daddy – Bob Wayne and Tom Wayne, who confessed to their inspired mockery! 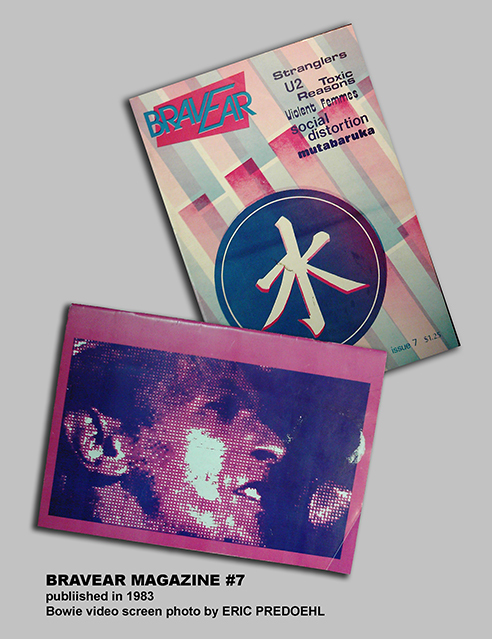 In that very same year, I attended the second US Festival, where I witnessed my second David Bowie concert. …. and so my photo of David Bowie via a video screen was published ….